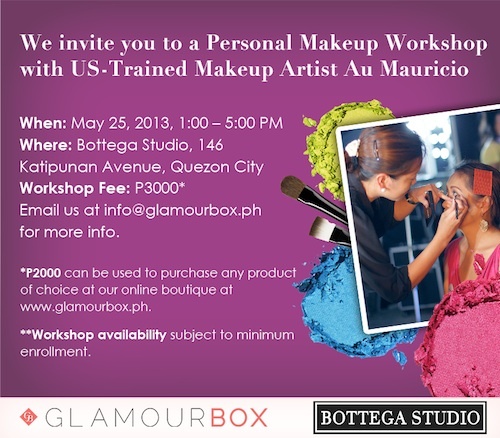 Glamourbox will host its first makeup workshop with none other than US-trained and Celebrity Makeup Artist, Au Mauricio, on May 25, 2013! I'm sure it will be worth every penny to attend Au Mauricio's makeup workshop! She's an international celebrity makeup artist whose latest work includes makeup for America's Next Top Model Cycle 18 British Invasion winner Sophie Sumner (MY LOVE!!! haha), ANTM All-Stars Cycle 17 Allison Harvard and Dominique Reighard. 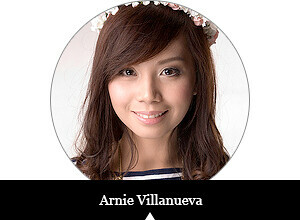 Her local celebrity clientele includes G Toengi, Rhian Ramos, Joey Mead and Belle Daza. The workshop fee is P3,000 where P2,000 is consumable and can be used as credits to purchase products at glamourbox.ph. For inquiries and updates, email Glamourbox at info@glamourbox.ph.